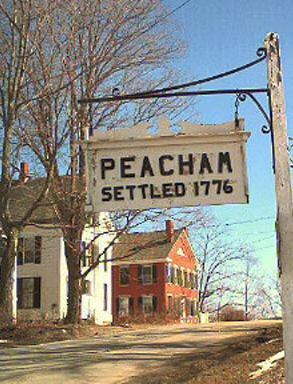 Official Information including meeting agendas and minutes are located at the official Peacham Town website The Town of Peacham does not provide funds for peacham.net . Story of Early Peacham "1776" by Karen Joyce in "The Bridge"
Morgan Gold has been making videos to show his progress on Gold Shaw Farm. Enjoy these videos. New Video of Peacham and the projects enlivening the community, including the Peacham Cafe. Peacham Cafe is featured in the Vagabond Way photo blog. Go to the Cafe website for days and times the Peacham Cafe is open. Video of Peacham Farmers Market on youtube. Follow this link. Use the full screen option and turn up your speakers. Video of Skiing in the Northeast Kingdom of Vermont (mostly in Peacham) .